After Masada, we drove north to swim in the Dead Sea at Ein Gedi. Unfortunately, the restaurant at the Kibbutz Ein Gedi is only available to guests of their hotel…so we had to make do with snacks. We hiked down to the rocky beach and found a huge crowd floating about. 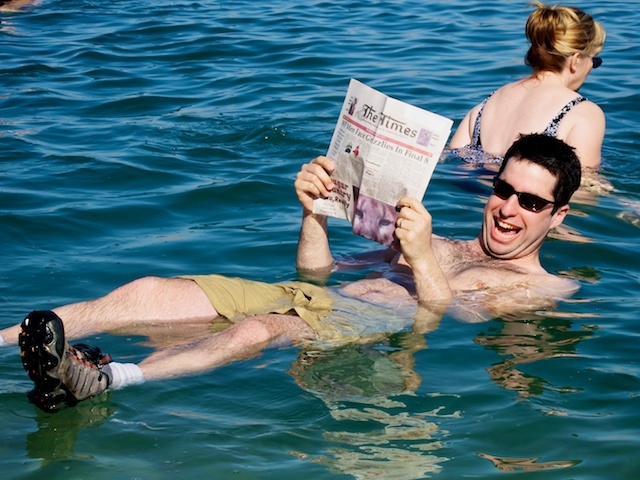 The Dead Sea is a funny body of water. The shore is lined with salt covered rocks almost requiring shoes or sandals to enter. You can’t really swim in it because you don’t want to put your face in that salty water for it will sting the eyes painfully, and you’re wearing sneakers. It stinks of sulphur. And it was loaded with church groups and tourists. Jamie and I snapped a picture that we hope to submit and have published in her hometown paper, The Waistburg Times. From there, we drove north up Route 90 along the coast of the Dead Sea soaking up the panorama, passing through small towns along the way. We also saw signs for the Jordan River; a popular place to get baptized. We saw the big tour busses heading there, too. I have to admit how surprised I am by the sheer volume of tour busses toting church groups. They are everywhere! I like running into them as they are stereotypically tourist; complete with travel vests, high waisted pants and requisite friendly attitudes…especially towards fellow Americans. It shouldn’t strike me as odd because the Bible does take place here making it a natural destination for Christians. However, my experience when sharing the news of my trip with my gentile friends [the bulk of my community in SF is not Jewish] was to be met with a blank stare followed by the word “oh,” or “visiting relatives?” I guess the reason there aren’t as many Jewish Tour busses is because we are too loud and difficult to be penned in like that. What kind of tour guide could handle 45 yentas kvetching? I’d pull my hair out. The scenery changed from rocky desert to lush green mountains. 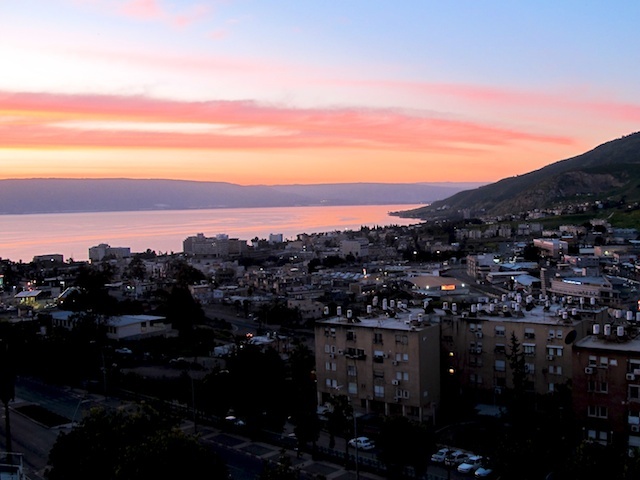 After a few hours with the windows open and music blaring, we arrived at Tiberias on the Sea of Galilee. We had booked two nights at the Prima Galil. It was to be our least expensive hotel, and I quickly felt pangs of regret. Tiberias is a little run down and our hotel was, well, a dump. The air conditioner barely worked, the building looked like hell. At check-in I asked to only be charged for one night as we ‘may need to leave tomorrow,’ and a after a few moments of ‘conversation,’ terms were reached. After freshening up we decided that we’d cut our time in Tiberias short and spend the extra night in Tel Aviv, which sounds like a place we will both enjoy. For dinner, we ate fresh grilled meat at Decks on the pier, feasting on duck breast and lamb chops. 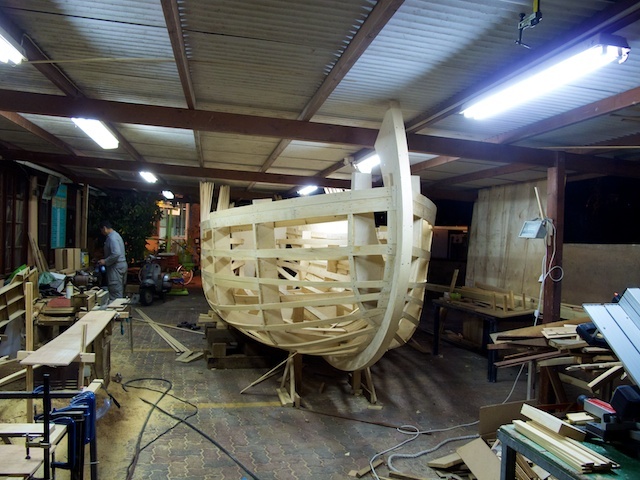 Across the street there was a wood boat under construction and it was fascinating to see the craft at work. We headed home but sleep was restless at best and we were packed up and out the door by 8 the next morning. 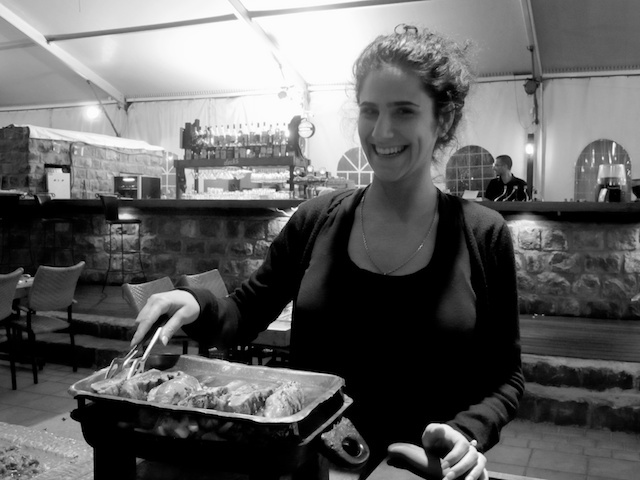 Seeing a Kibbutz was high on our list of priorities so we headed to Nof Ginosar. The once robust socialist philosophy that guided the Polmah movement has since given way to today’s more individualist society. The kibbutz was passed it prime, the fields still sown with agriculture but lacking the vibrant community of days gone by…but it does have an interesting site to see. 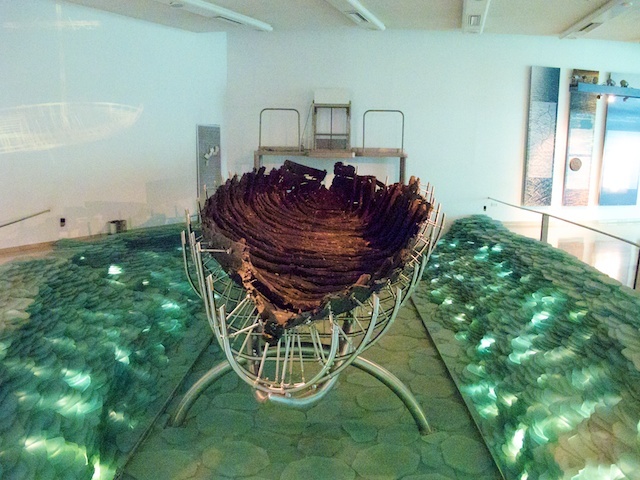 The oldest fishing boat known to man was found here after 2,000 years buried in the mud. You can see it for just 20 shekels. 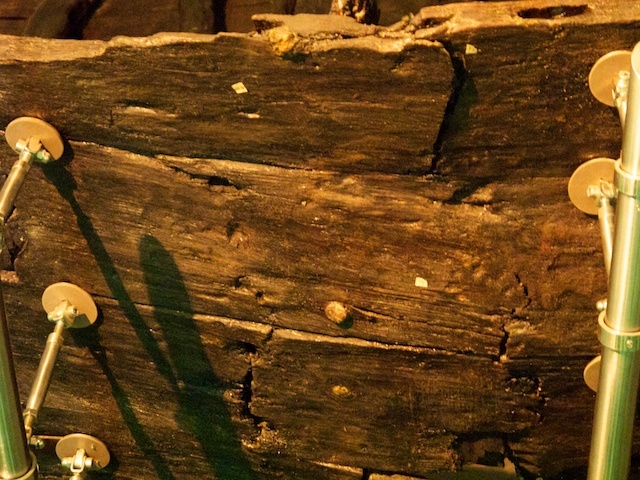 It was a site to behold this relic from the past, to imagine what it must have been like to be a fisherman in ancient times. They market it as the “Jesus-boat,” which I felt was a little heavy handed, but made it quite the hit with the long bus crowd. We strolled out towards the Galilee, cool in the morning glow. It is beautiful. As we turned our backs to return to the car, we heard music coming from the heavens, or was it the water? Amazing Grace, how sweet the sound! 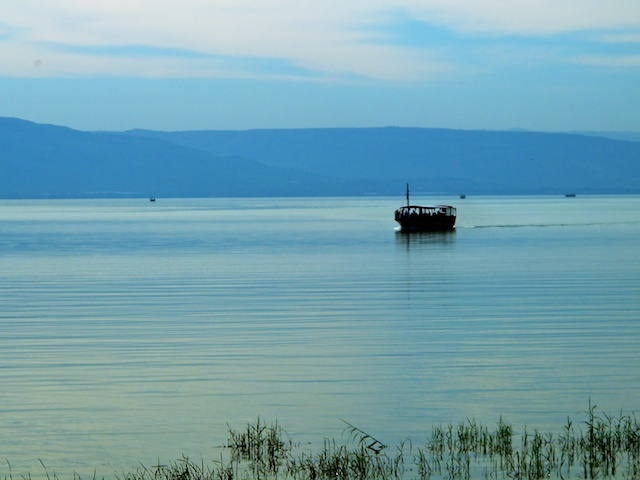 Gliding along the tranquil Galilee was a wooden boat and from it sang a church choir! It was funny at first, but we could also appreciate what a special moment it must be for that group; to have made their pilgrimage to the Holy Land and now to be walking in the footsteps of their savior. Hope you saw our last post about Masada. When will you be in Tel Aviv? I look forward to hearing from you with all the details from the city.